I am an experienced full time real estate professional and who personally resides in North Scottsdale. My office is conveniently located in North Scottsdale near Bell Rd and Loop 101. I work with Home Buyers and Sellers across the entire Greater Phoenix & Scottsdale metro area. My local market knowledge, continued education, proven work ethic, and 5-star customer service provides buyers and sellers with the tools they need to achieve their real estate goals. Continuing education and knowledge is the key to providing value. As an Accredited Buyers Representative, I'm certified in representing my buyer clients. As an Accredited Staging Professional I provide clients selling their home staging consultations & a unique marketing plan that offers a competitive advantage. I focus on constant communication with my clients that includes direct communication with me from our initial meeting until I join you at the closing. I hope to hear from you soon to have the opportunity to earn your business! 1. HomeSmart Sells More Homes! HomeSmart is the #1 Ranked Brokerage by the Phoenix Business Journal for residential total sales volume and transactions in Phoenix since 2012. Home Buyers have piece of mind and confidence when purchasing their new homes knowing Liz has researched all neighborhood sales and statistics. Her continued education adds value to her clients and includes Accredited Buyers Representative (ABR), Graduate Realtor Institute (GRI) and Certified Negotiation Expert (CNE) designations. 2. Results that are Repeatable are Reliable! Liz Has Achieved Consecutive Diamond Awards since 2014 within HomeSmart as a Top Producing Agent. With a marketing degree from Bentley University and her MBA, Home sellers are provided cutting edge vertical marketing strategies that result in numerous showings that result in getting their home sold! 3. 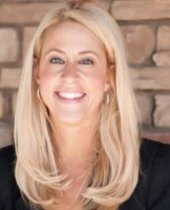 We Will Sell Your Home Fast for Top Dollar: Liz is both an Accredited Staging Professional and Certified Negotiation Expert. When combined with her 20 years of Local Market Knowledge, this provides a competitive advantage to sell your home. 4. We Have Buyers ready to Purchase! With over 2000 Buyers looking for a home in our database, we may already have a Buyer to get your home SOLD! 5. Guaranteed Proven Marketing Plan: So Confident our Home Sellers Will Be Happy with our Proven Marketing Plan that You Can Cancel Your Listing at Any time! Please watch this Client Testimonial Video below! "Absolutely the BEST real estate experience ever. Liz is not only professional but she is detail oriented and full of energy. She gets results. I learned that the right realtor makes all the difference. Liz is the right realtor." "Liz is a real professional who knows how to sell real estate. She is diligent, thoughtful and goes beyond what you expect. She is very responsive and stays on top of things throughout the process. She communicates regularly with useful information. We do not live in Arizona, but Liz made sure we were properly informed and consulted throughout. She took care of the big things and also the important little things like ensuring staging was done beautifully to her high standards. We got 100 per cent of our asking price for our investment home and she sold it in just a few days! Very impressive! You will be very pleased with her personalized service. Best part is that you get Liz and not some junior realtor who may be part of a bigger sales team. Choose Liz and know your property is in good hands." "A+++. Liz is a rockstar when it comes to selling real-estate. We had listed our condo with another realtor and it sat for nine months, with very little traffic. In less than 90 days, Liz sold our property near list price. She not only took the time to make solid recommendations to improve the overall look of our condo, but she leveraged her marketing skills and worked furiously to attract the right buyers. She is hands down a top realtor who knows the market. I highly recommend Liz without hesitation - you will not be disappointed." "Liz is a true professional. After listing our house to be sold with another realtor we took the home off the market after six months. Liz then sold the home at 98% of asking price within a matter of weeks. She helped us throughout the process and even came over to the house and watched our dogs while we were at work so people could view the house. She also helped us with negotiation on the purchase of another home and was very helpful in the negotiation and throughout the purchase process of the new home. My wife and I cannot say enough good things about Liz and her abilities in the Real Estate market. If you want the best give Liz a call you will not go wrong. Thank you Liz for all help." “Liz was absolutely fantastic with helping us purchase our investment property. Being located out of state she served as our eyes and ears and walked us through EVERY step of the way. Any questions we had she found the answers for…can’t tell you how many times we asked her to go to the property for various reasons and she was always extremely quick and responsive. She is very knowledgeable and professional. She helped us find such a sought after location for our property that it rented out in less than one week! Thank you Liz for everything!!! “Liz has done a great job for me during my home purchase. She was able to provide me with updates and many home options when they became available on the market. Liz was able to negotiate to the price that I was happy with. I will be recommending Liz to all of my family and friends. “My experience went really well with Liz. I am so glad that I chose her as my real estate agent. Being a first time home buyer, she made the process painless and at the same time kept me in the loop. She knows all of the areas ( I wasn’t sure where I wanted to go ) and what would be best location and price wise. If you are looking for your 1st of 10th home she’s really a wonderful person to work with. You won’t be disappointed.